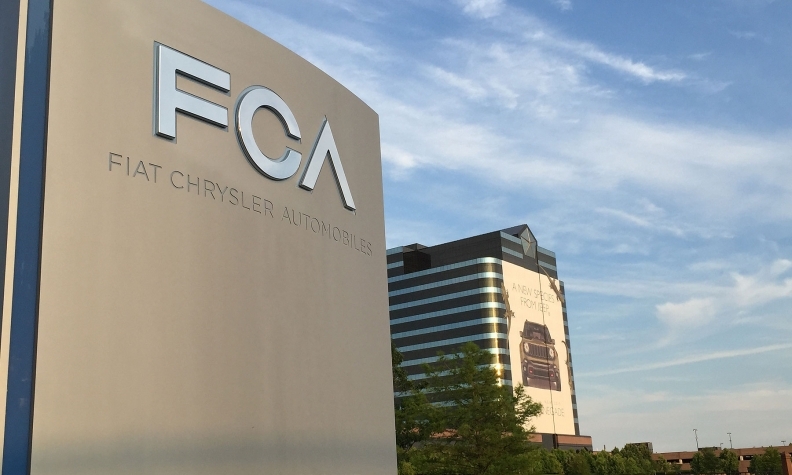 FCA Canada switched to a new sales-reporting protocol in July, and the result was startling. In one fell swoop, its reported sales fell 13.8 per cent – breaking a 79-month streak of year-over-year gains. That’s not all. With Ford of Canada simultaneously posting its best July sales ever – a gain of 9.5 per cent – Oakville not only outsold Windsor for the month; it also moved ahead in year-to-date sales. Ford’s gangbuster July, though, was an outlier in a month that saw overall sales slip 2.6 per cent from a year ago over an unchanged number of selling days. Most mainstream brands lost sales, with only Hyundai and Kia joining Ford in the black. European luxury brands all prospered in July, as did Subaru. For the industry as a whole, sales remain 4.6 per cent ahead year-to-date. FCA’s new reporting format is keeping number crunchers busy, as each model’s July and year-to-date sales for 2015 have also been adjusted (in most cases, only marginally) from what was previously reported. In the U.S., FCA has revised its sales data going back to 2011; FCA Canada is working on the same thing but it may take a few weeks to complete, a spokesperson said in early August. Curiously, FCA Canada’s revised report sheet no longer summarises its sales into Passenger Cars and Light Trucks; instead, the subtotals are grouped under the headings “Car and MPV,” “UV” and “Truck and LCV.” This makes it less obvious how few passenger cars FCA sells compared with light trucks as conventionally defined. As for Ford’s blockbuster July, it’s noteworthy that a staggering 46 per cent of Ford’s July sales were achieved by one single model – the F- Series pickup. The F-truck’s 13,585 July sales count – a 21 per cent increase over last year – was more than double the sales of all eight Ford/Lincoln car models combined. Further underlining the dominance of Ford’s 800-lb gorilla, GM and FCA, meanwhile, each reported only 8,000-and-change sales of their own full-size pickups. Ford’s next-biggest seller, the Escape, recovered in July and managed to get back ahead of the Toyota RAV4 challenger for the month. But it still didn’t reclaim its long-time compact CUV leadership: this time the Honda CR-V not only led the segment with all-time record sales, it also came close to out-selling its Civic sibling. The perennial car sales leader in turn was outsold in July by the rival Hyundai Elantra. A Honda Canada statement said Civic sales could not match exceptional results last year, though in fact Civic’s July 2015 sales were also a decline from 2014. The Elantra’s July car-sales crown isn’t the only attention-grab by the Koreans. Sales of Hyundai’s smallest CUV, the recently redesigned Tucson, are on a tear, up 85 per cent year-to-date (while the next-size-up Santa Fe Sport is down 12.4 percent). Over at Kia, Tucson’s sister vehicle, the Sportage, is also surging since its recent redesign. But a real eye-opener was the 400 per cent spike in July sales of the traditionally low-profile Sedona minivan. Kia Canada has been paying extra attention to marketing the Sedona, said communications manager John Adzija, and its sales were already up 19 per cent through June. July’s spectacular break-out, however, was mainly on the strength of a single fleet deal: 693 sold to a car rental company.